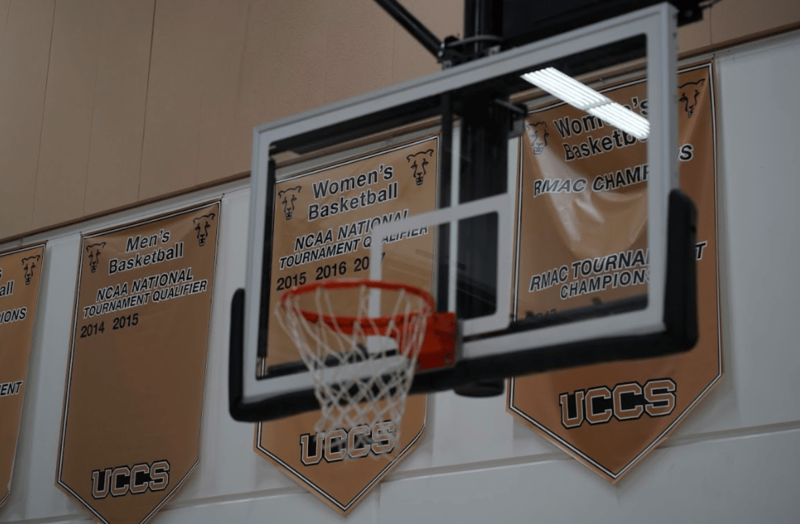 The Men’s Basketball team came back from winter break to an eight game winning streak, while Women’s Basketball is sitting with a 6-9 record overall. On Jan. 12, the men’s team had their eighth straight win, extending their overall record to 10-5, and 7-2 in the Rocky Mountain Athletic Conference (RMAC). The men are currently ranked No. 4 in the RMAC, behind Colorado School of Mines, New Mexico Highlands and Regis University. According to Head Coach Jeff Culver, the real question for the men’s basketball team is how will they keep their momentum going. With such a long season, injuries can be an occupational hazard.. Already, there are several players coming back from injuries, such as Elijah Ross and Dalton Walker. Ross is a senior, playing guard, and was a lead scorer last year. He was out for approximately five weeks with a knee injury. Walker is redshirt senior, plays forward, and is “arguably our best shooter,” said Culver. Walker was out with mono, but has recently returned to games. The next game for the men’s team is on Jan. 18, against Black Hills State which is currently ranked No. 5 in the RMAC. The women’s team entered winter break with a 2-5 overall record and were 2-1 in conference play. After seven games over the break, the team is now with a 6-9 overall record. The women’s team goal for this season is to make another RMAC tournament appearance as Plett guided the team to the RMAC Tournament Championship in 2017. “We knew at the beginning of the year that we’re pretty young and inexperienced in a lot of ways, so for us to just win the conference outright is a goal, obviously, but we just want to make sure we are just getting progressively better throughout the season, so that when we get to that tournament then who knows. We could knock anybody off eventually, so that’s what we’re striving for,” said Plett. Although the season has been a bit rocky for the women’s team, there is much support among the athletes for each other. “They just really support one another and like each other and just really get along pretty well and just enjoy being around each other,” said Plett. The next game for the women’s team is on Jan. 25, and begins a two-week stint on the road with a matchup against Chadron State in Nebraska.